Good afternoon from sunny West Sussex coast! I am doing right thing, of course, having Fish and Chips by the sea at Ropetackle, Yey! Looks very neat, clean, and inviting, seaside colour scheme is very reassuring! 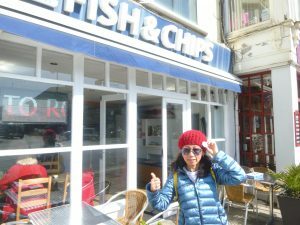 Sooo hungry, after walking miles from Brighton (not to mention a SHORT bus journey in between). I am going for Haddock (large) + chips £8.75. I have to be honest, not being disrespectful, £8.75 is more than I expected to pay in this setting. Ah, yes, this must be Brexit related food price rise. However, this is not dampen down my spirit!! My initial disappointment (re: missing mashy peas) was soon replaced by joy! 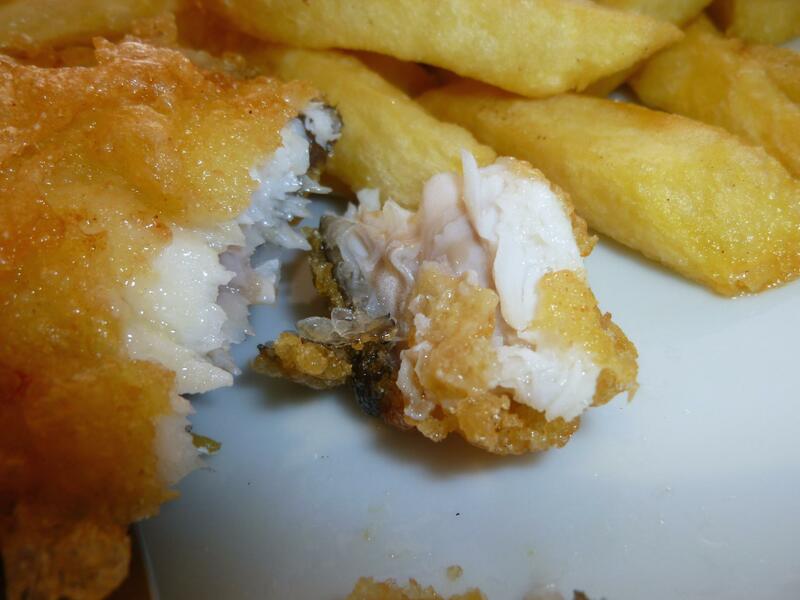 Fish : 8/10 Cooked freshly at order, piping hot and crunchy batter. It did not feel greasy at all + fresh batter integrated well with fish, suggesting fried in clean oil (i.e., not excessively reheated old oil) at right temperature for right amount time. 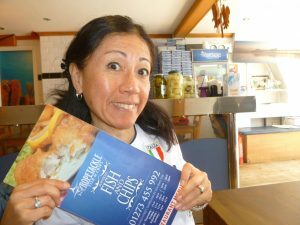 Fish was firm, juicy fresh, cooked though but not over cooked. Chips : 8/10 Crunchy outside, fluffy inside. Again, not feel greasy at all. They were also cooked at order too. Hang on a minutes! why no mashy peas? 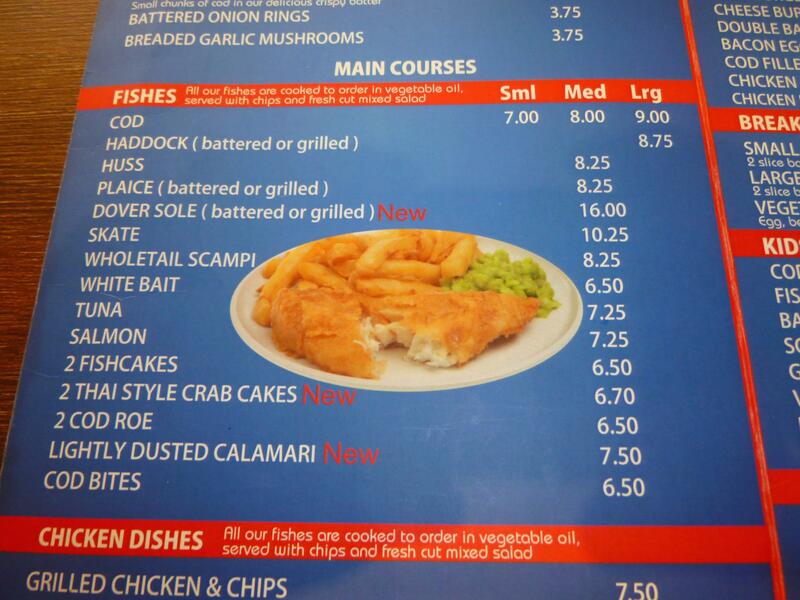 In fact, menu reads “Haddock cooked to order in vegetable oil, with chips and fresh mixd salad”. So it is my fault to expect mashy peas, but…. 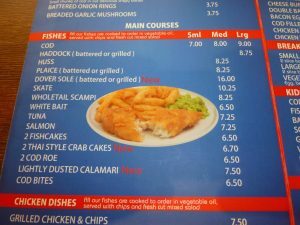 Check this photo on the menu, wouldn’t you expect mashy peas??? Misleading!! 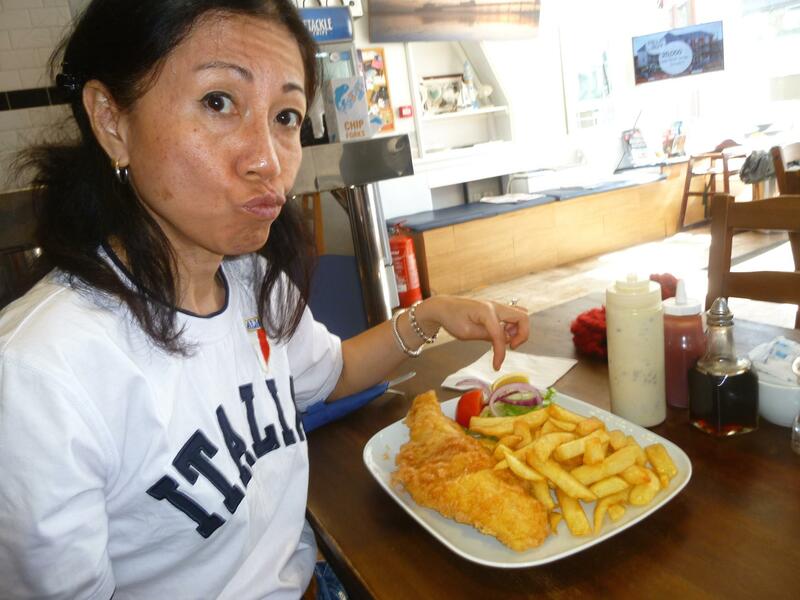 Overall though, “you know what you doing ” fish and chips. 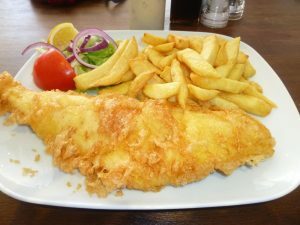 Very simple no fluff (such as line caught, sustainable, triple cooked, hand cut, special ale/cider batter, brah brah brah…..) but satisfactory. Thank you Ropetackle Fish and Chips! Good night!